Note from shop owner Hello everybody! Thanks for visiting my shop 🤗 I am in a short break for Easter, all the orders will be sent Saturday and Tuesday. Hello everybody! Thanks for visiting my shop 🤗 I am in a short break for Easter, all the orders will be sent Saturday and Tuesday. Great gift, recipients loved it! I love this keychain. It was actually bought as a gift for someone and they loved it as well. So keep an eye because I am gonna start posting a lot of new things! ZOMBIE apocalypse partners How funny these keychains are?!?! Hi! My name is Elena and I am the one and only girl behind this jewelry shop. 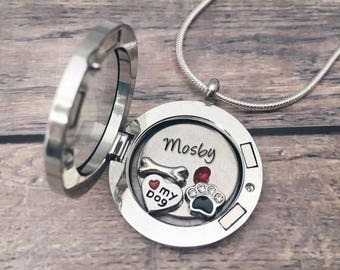 I love creating personalized jewelry that brings closer to our loved ones. I'm self taught and started my jewelry/accesories making journey creating bracelets and necklaces made with eco-friendly tshirt yarn. After having my baby girl, I decided to open another shop. As you can see, I named my shop Lulu, because my baby girl is called Lucía, and it definitley brought me luck in this adventure! I love that each personalized item I create tells a story and celebrates your life's special moments. A piece of jewelry/accesory to wear and feel our loved ones, our happy and sad moments, our life. Everything in my shop is personalized, so please just let me know in "notes to the seller"
After looking around, if you have an idea for something a little different, contact me, I'm sure I can help and create something special for you. All my jewelry comes with a black jewelry bag and a blue pillow gift box tied with ribbon. Ready for a gift. Most pieces are made of high quality Stainless Steel - why stainless? It's strong, it does not tarnish, rust or change colour. AND it's more affordable than sterling silver. The price for sterling pieces is way, way, WAY more because of the cost of the materials - This is a great, and beautiful alternative! The necklaces and bracelets are hand stamped by me not made by a machine so letters may not be perfectly straight. There might be variations in the depth and spacing of the letter. Remember this is a one of a kind piece these are not considered flaws but add character to your handmade piece. These small variations add charm to the piece and make it a unique.